Next Organic 2016 took place in The Station at Gleisdreieck – a good location (directly on the U2 subway line) with plenty of space and lots of natural light. According to the organisers, there were more than 150 exhibitors on 4,500 sq m of exhibition space. And here, in no particular order, are some of my favourite brand discoveries at this year’s trade show! 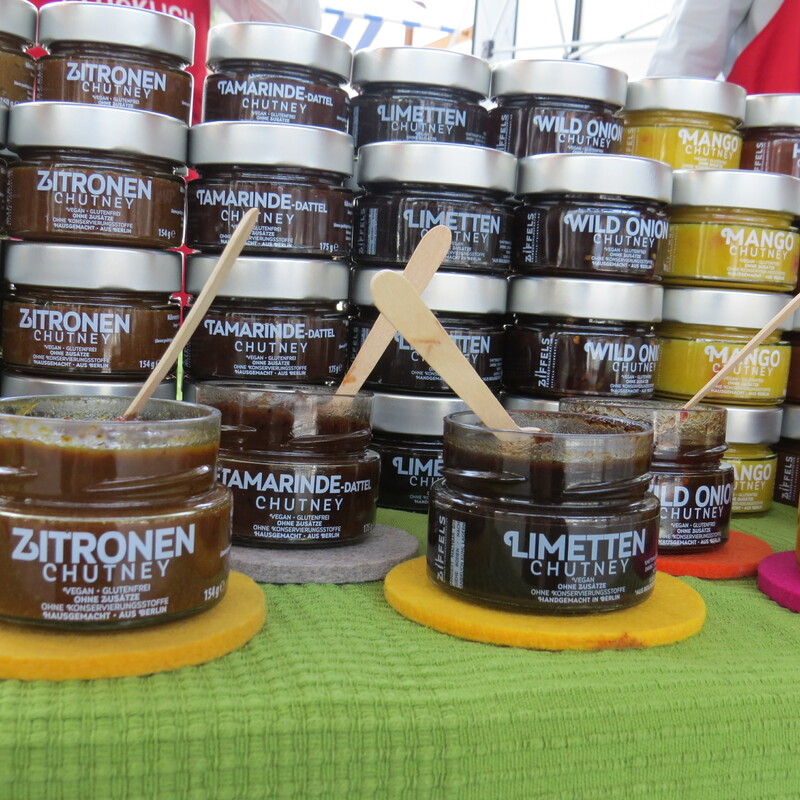 Ziffels Feinkostmanufaktur was founded in 2014; they produce chutney, pickles and other sweet and savoury spreads. I’m a huge chutney fan so I sampled several of their 13 variants – very delicious indeed, especially the tamarind & date chutney (I love tamarind!!!)! 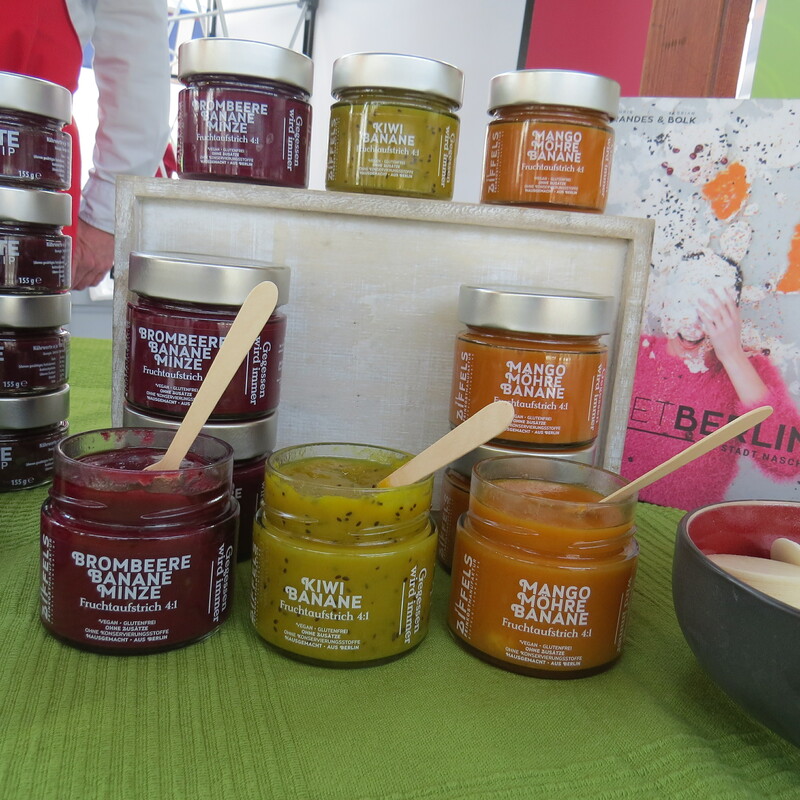 The products are all manufactured in Berlin and Ziffels’ most recent launch, in cooperation with Berlin-based online food store Gegessen wird immer, are three fruit-based jams – Blackberry, Banana & Mint, Kiwi Banana and Mango, Carrot & Banana – which are made with reclaimed bananas! In this case, reclaimed bananas are bananas which are so overripe that they can’t be sold in regular food retail any more – rescued bananas, if you will. 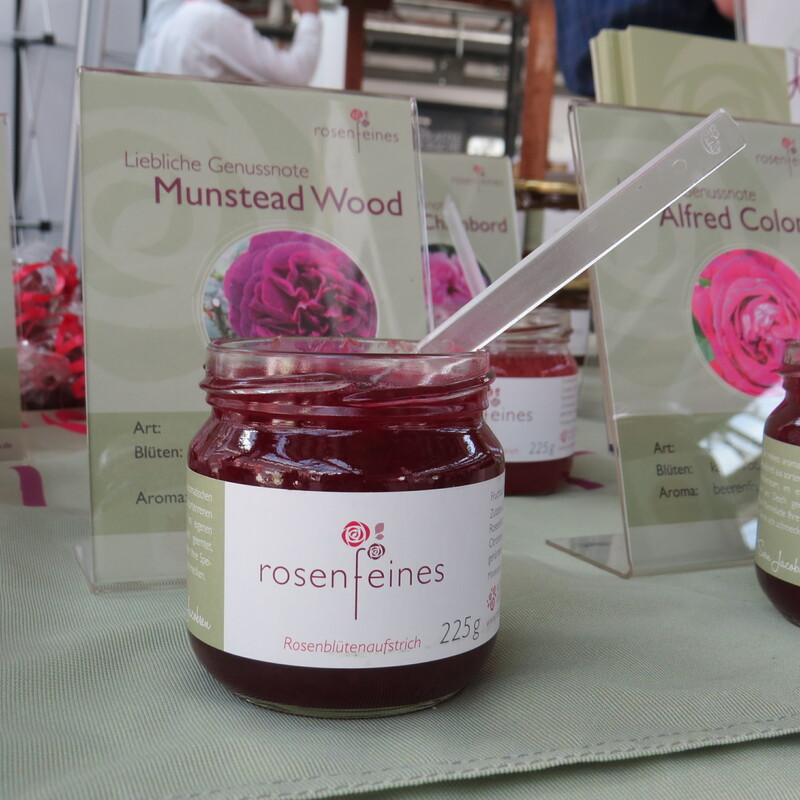 Another jam manufacturer which bowled me over is Rosenfeines. 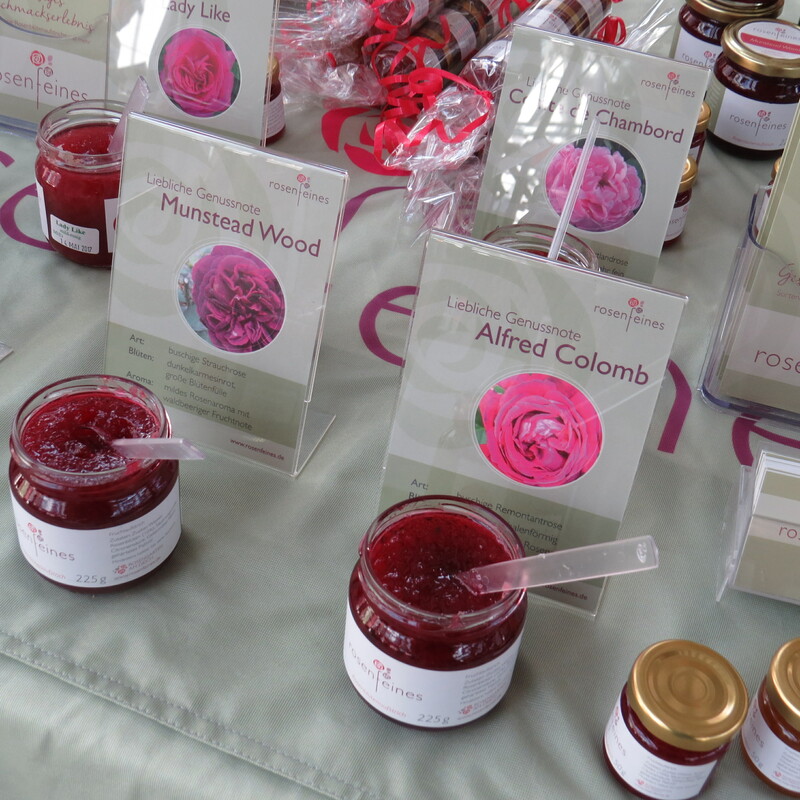 Rosenfeines, based in the Northern German region of Schleswig-Holstein, specialises in rose petal jams. Each of the 12 jams is made with a different fragrance rose variant which is cultivated and harvested in the company’s 800 sq m rose garden in Nordstrand on the coastline of the North Sea. Founder Sven Jacobsen told me he cultivates some 700 rose bushes and over 100 rose varieties. And believe me, the rose jams really taste very different: the scale starts goes from a mild and fruity yellow rose gelée (Charles Austin) over delicate pink rose-scented jam (Gräfin Hardenberg) all the way to bright red, fragrant rose spreads which taste like rich, strong rose perfume (Rose de Resht – my favourite). Amazing. The Rosenfeines products are primarily sold online and through selected gourmet and delicatessen stores. 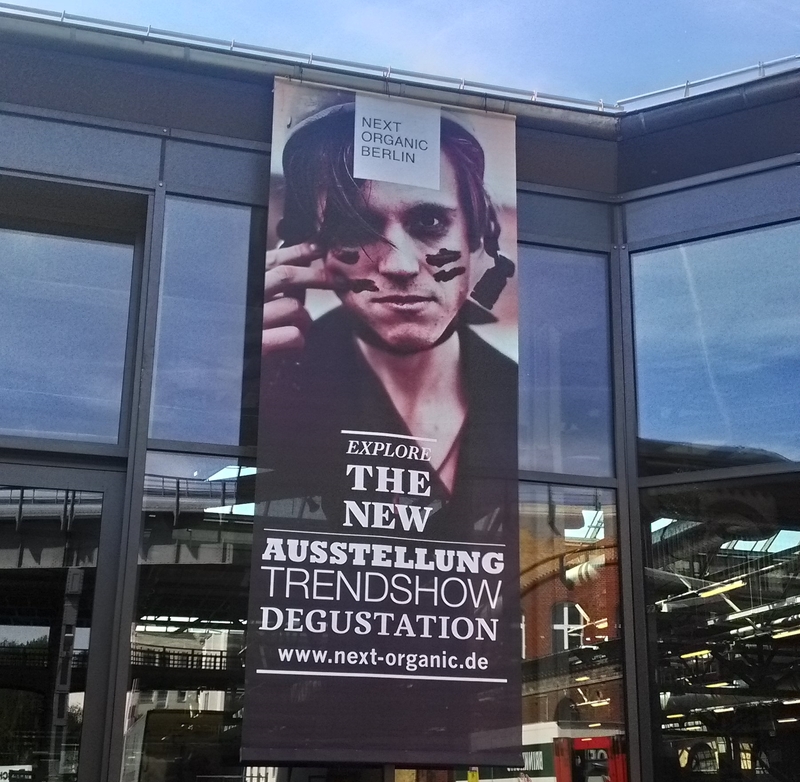 Each year, Berlin’s Markthalle Neun is amongst Next Organic’s exhibitors. Markthalle Neun (lit. market hall 9) is both an actual location – it’s an old market hall in Kreuzberg area – and a very interesting project: in 2010, the historic market hall was on the verge of being sold to a large German supermarket chain. However, a Kreuzberg neighbourhood initiative raised enough money to acquire the market hall space and proceeded to rejuvenate it: today Markthalle Neun hosts a number of artisan food stores and manufacturers, there are several small restaurants and regular live markets (fresh produce, gourmet, street food, arts and crafts) as well as lectures, workshops and other events. 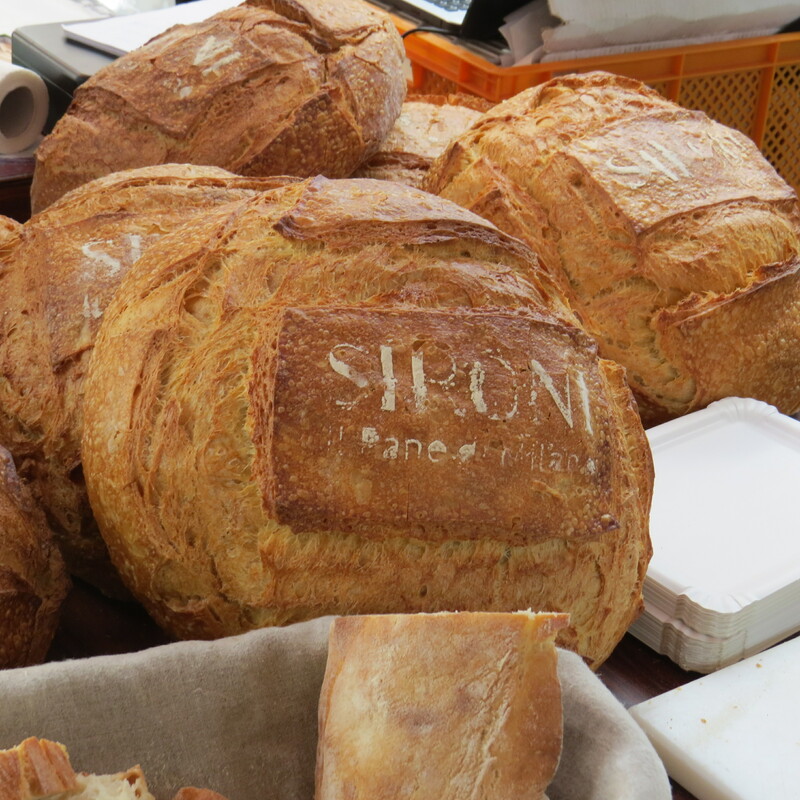 If you happen to find yourself in Kreuzberg, visit Markthalle Neun, it is worth it!!! 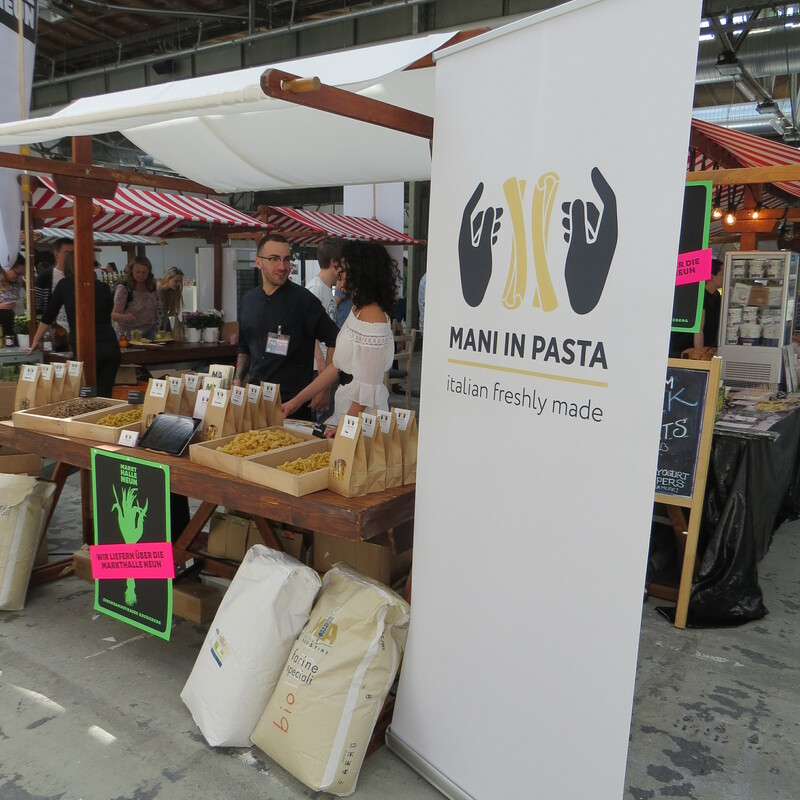 At Next Organic, Markthalle was present with a number of its food producers, including Italian bakery Sironi (lovely ciabatta bread), noodle manufacturer Mani in Pasta, Heidenpeters craft beers, and butchers Kumpel & Keule. Around the corner from Markthalle Neun was the exhibition stand of Hahn’sche Gutsmanufaktur, a family-owned company which produces an excellent herbal bitter liqueur, the Alte Pomeranze. Pomeranze is an old variety of bitter orange – I like bitters and digestifs and the Alte Pomeranze was delicious, so I purchased a bottle right there and then! The company’s history is also interesting: in the 15th century the Hahn family built a feudal estate, a moated castle which still exists today. Although the moat has gone the castle is still there and this is where the Hahns manufacture the Alte Pomeranze liqueur. You can visit the castle grounds and the park, by the way. 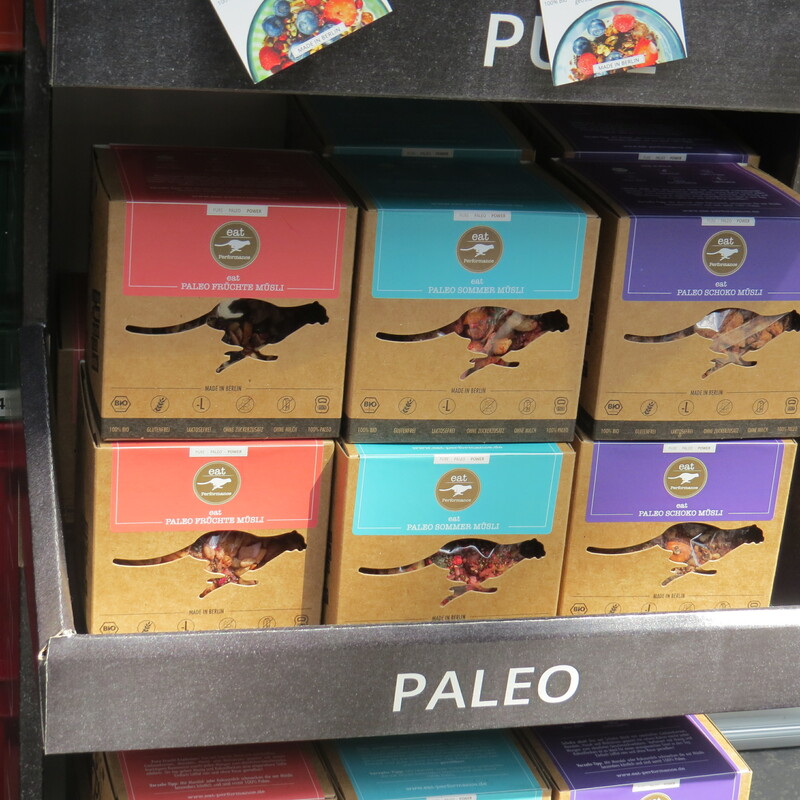 Paleo is one of the more interesting recent food movements/trends and at Next Organic there were quite few Paleo food companies. Like so many food trends/lifestyle concepts/whatever you want to call it, Paleo started out in the US, and although the concept is still in the process of establishing itself in Germany, Berlin already offers a number of Paleo restaurants and cafés. Also, last August Germany’s first Paleo Convention took place here in the city (I missed it, unfortunately, and it looks like I’ll also miss the 2016 Paleo Convention). 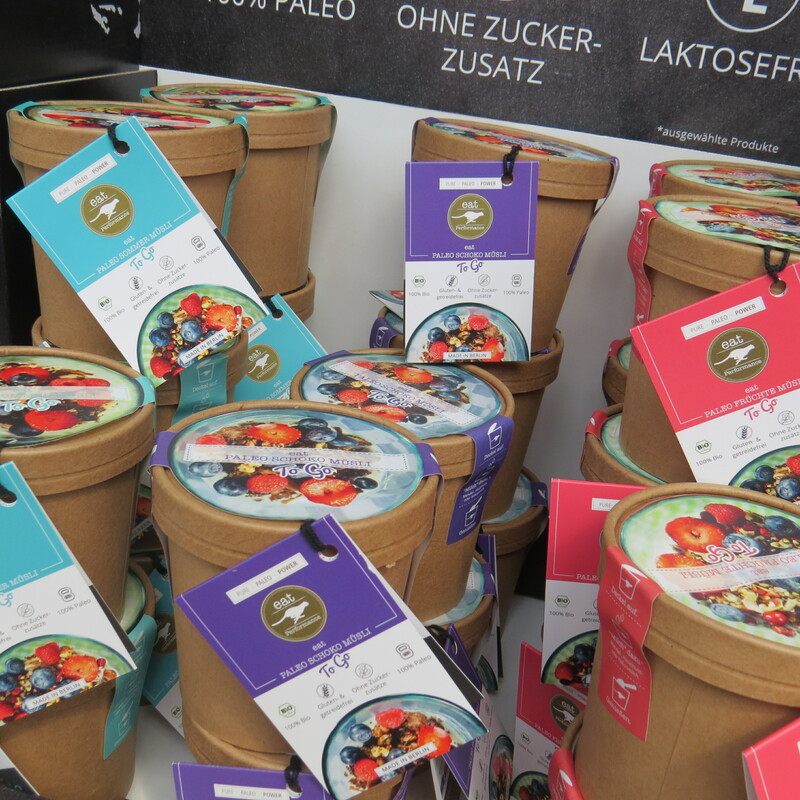 I had seen the dried fruit bars of Berlin-based manufacturer Eat Performance in-store but didn’t know that the company also produces Paleo muesli mixtures (available in to-go packs or larger sizes), Paleo cookies and Paleo bread baking mixtures. Very nice! Eat Performance was founded in 2013 which probably makes them one of the first German Paleo food companies. 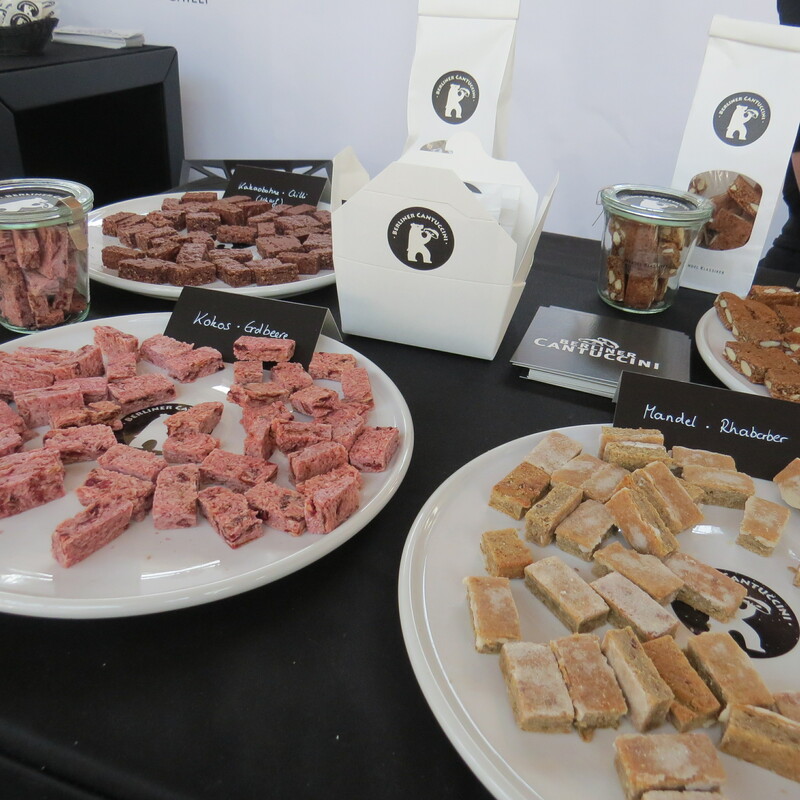 Two other Paleo exhibitors at the show were Organic Workout from Karlsruhe (they produce Paleo beef jerky and Paleo bread baking mixtures) and Die Kraft des Urstromtals (from Berlin) which manufacture sweet and savoury Paleo bars. 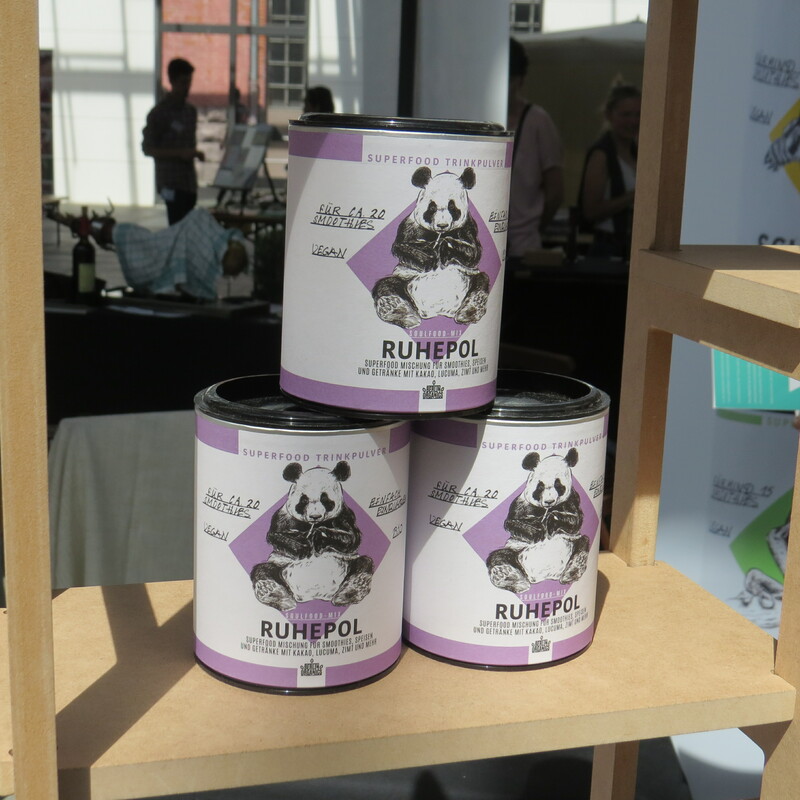 Also Paleo, but in a different section of the trade show, was Bone Brox, one of the winners of Next Organic’s start-up competition (category: “Producer”). Bone Brox (based in Berlin, of course!) manufactures bone broth (I read that their broth mixture of beef bones, herbs and vegetables is simmered for up to 18 hours). And I guess, Seamore (another start-up winner – category “Manufacturer”) also falls into the Paleo category. 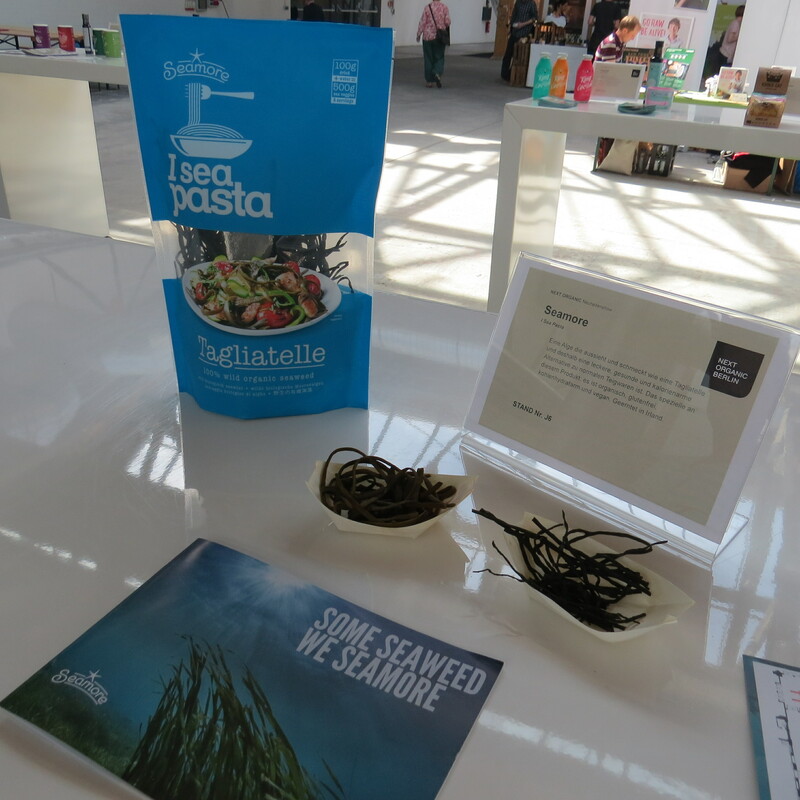 Seamore was founded in 2015; the company is from the Netherlands and they make “sea pasta” – algae noodles, basically. The algae used for the Seamore noodles is harvested on the coast of Connemara in Ireland; you cook the algae tagliatelle in water like you would with normal pasta (you can also soak it in cold water) and then use the algae strips in a variety of dishes. 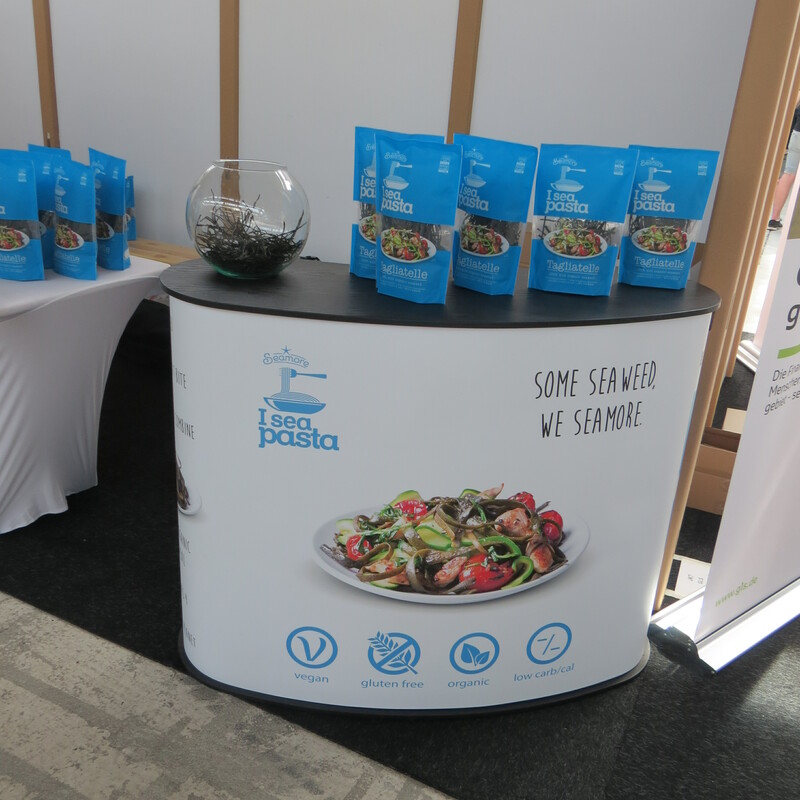 At the trade show, Seamore offered samples of pesto noodles; the texture is fabulous and you can combine it with a variety of sauces and spices. Then again, I love seaweed and I frequently cook with konjac noodles so the principle is very familiar. One bag of Seamore tagliatelle will be priced at around 5 Euro which is actually quite reasonable. I can’t wait for the Seamore noodles to be available in German supermarkets! A start-up winner (category “Retail”) which deeply impressed me was Conflictfood. The company was founded in October 2015 by Salem El-Mogaddedi and Gernot Würtenberger and has an interesting (not to mention unusual!) concept: sourcing and selling agricultural food products from geographic regions usually associated with violent conflict and war. Trying to change things for the better by supporting small artisan manufacturers and local businesses, investing into fair trade, telling a new and more positive story about some of the people living in war-torn/conflict-ridden regions – I think this is an amazing concept. Can’t get more grassroots than that! 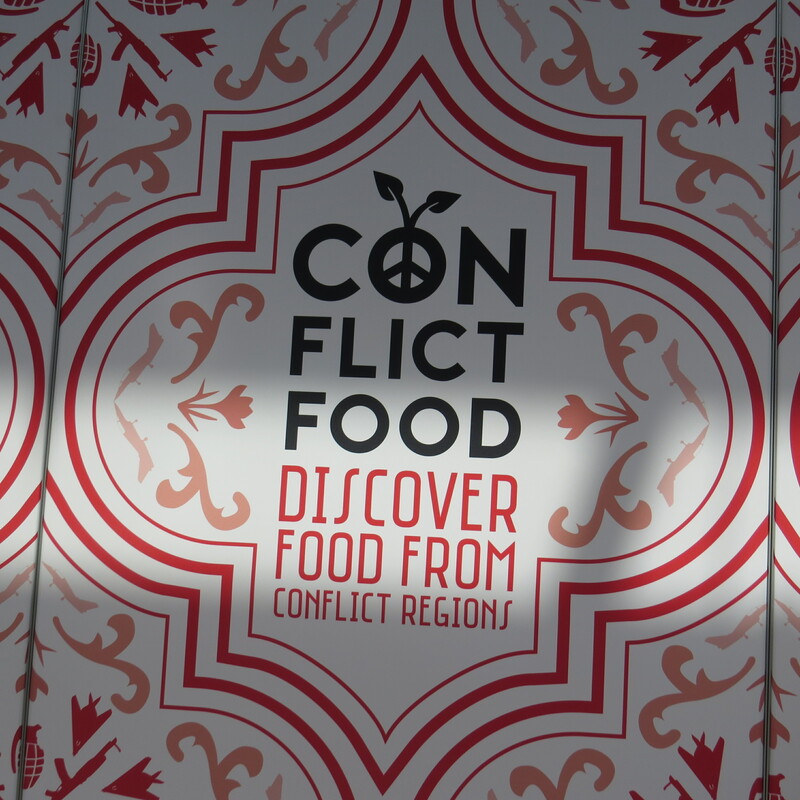 Some of the proceeds from each Conflictfood product go towards supporting a local educational charity project. 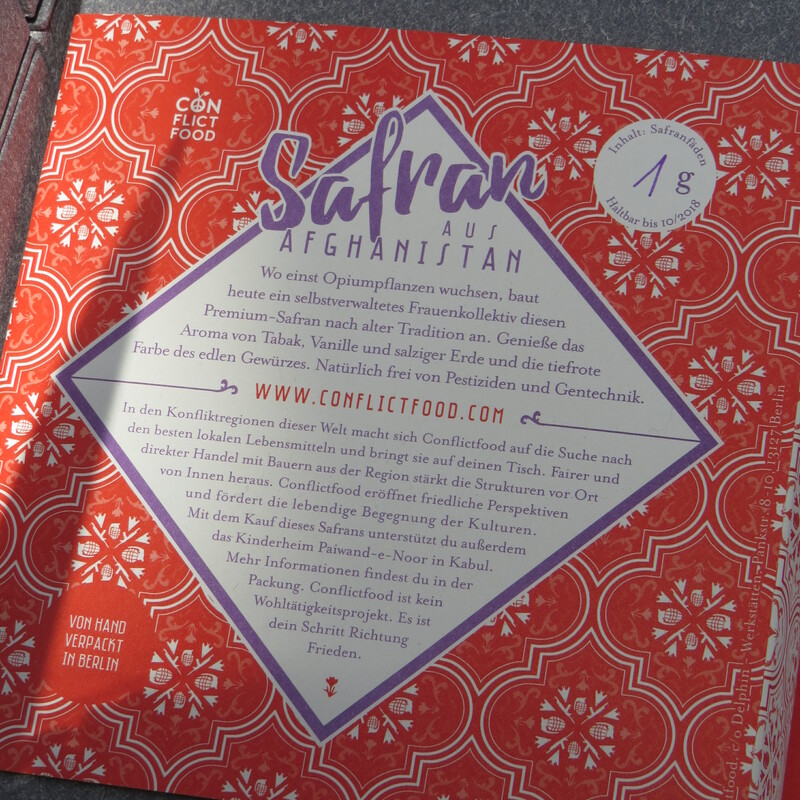 The first Conflictfood product, which was launched at Next Organic, is saffron cultivated and harvested by a women’s collective in the small village of Shakiban near Herat in Western Afghanistan. The boxes you see in the picture also include a kind of newspaper which gives information about the current product (in this case, the saffron), introduces the people growing/manufacturing/harvesting it, offers articles about the local culture and the economy of the country/region in question – really interesting. The founders are planning to launch a new product from a different country every few months or so; I was told that the next product will be olive oil from Palestine. 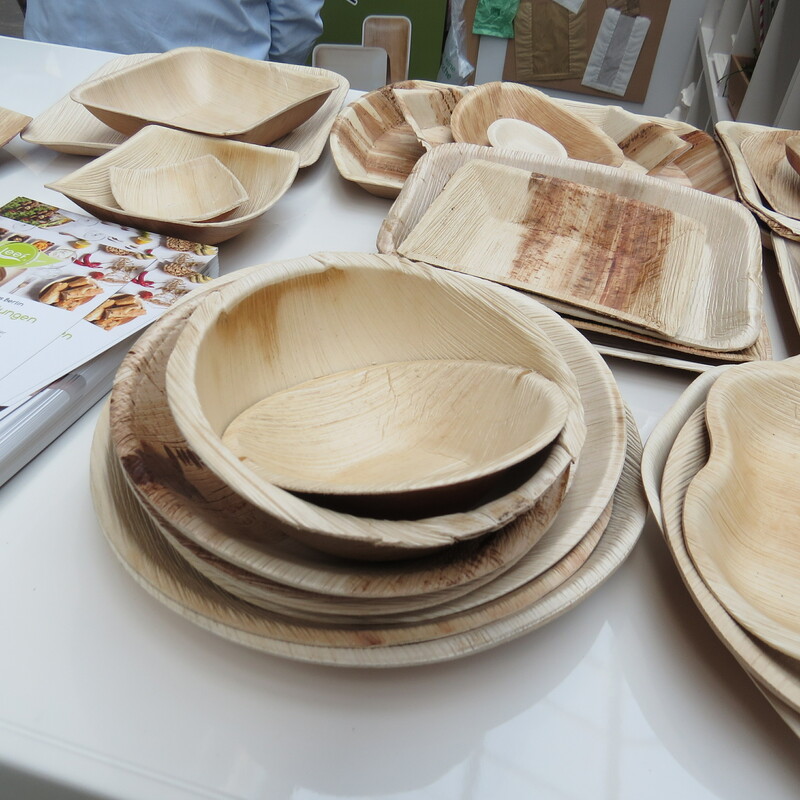 An interesting non-food exhibitor was Leef who specialises in compostable dishes made from palm leaves! Leef was founded a few years ago (they started out through crowdfunding); although they primarily work with catering companies, food trucks and other food-themed events the company recently brought out a Grill-Set (BBQ set) which supplies everything you need for an outdoor barbecue (dishes, plates and even tongs). The box is priced at around 6 Euro and is available in Bio Company supermarkets across Berlin. What a fabulous idea! Berliners love to barbecue outdoors (on warm summer evenings you can barely see the city’s parks for all the smoke from the outdoor fireplaces) but like so many people, way too many picknickers are horrible slobs and simply leave their rubbish behind. The Leef dishes will decompose by themselves (it takes around three months) and they still seem surprisingly sturdy. I was really taken with the concept. And speaking of crowdfunding: Germany’s largest crowdfunding platform, Startnext, was also at the Next Organic, together with some of the more successful food start-ups that began through Startnext campaigns. I was interested to find out that Startnext, originally a crowdfunding platform for cultural and creative projects (film-makers, novelists, journalists, musicians), only started to add food and farming to its start-up categories in 2015 – and this sector has already become very popular. In fact, lobby association Die Lebensmittelwirtschaft has just launched an initiative on Startnext to encourage more food/farming/gastro start-up ideas. 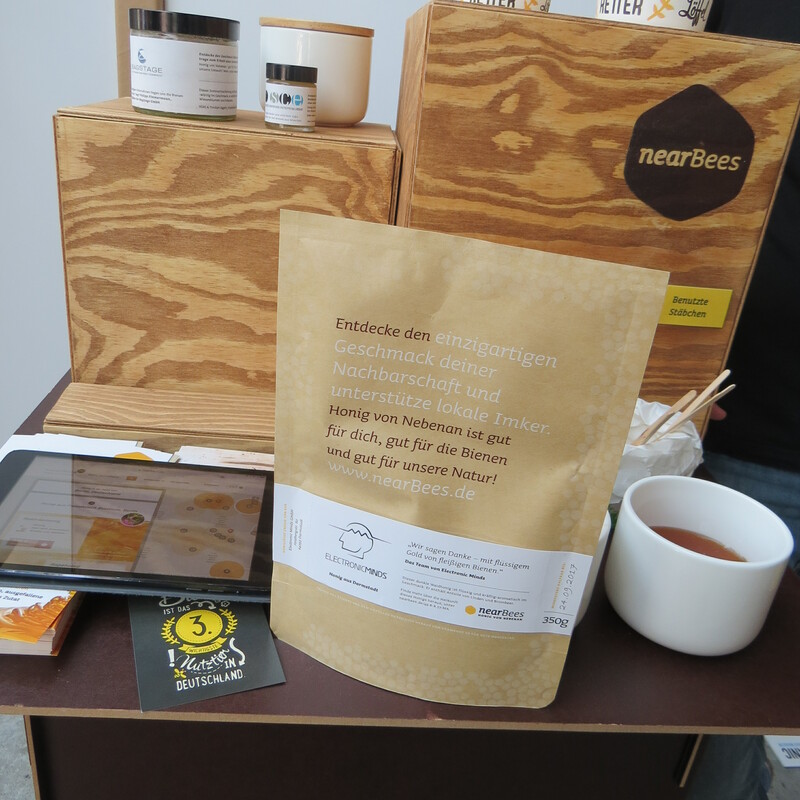 One of Startnext’s successful projects is Nearbees from Munich. Nearbees is an association/network for hobby beekeepers and urban beekeepers: the company has developed a very cool way of dispatching the honey – rather than using glass jars, Nearbees ships the honey in large brown envelopes. You snip the envelope open and decant the honey into the container of your choice. It’s easy to send the honey via post and Nearbees also operates a website which shows you where the bee swarms that produced the honey you just bought have harvested the nectar. And returning to Berlin-based manufacturers: I liked the unusual cantuccini from artisan manufacturer Berliner Cantuccini. Cantuccini are crunchy almond cookies (a bit like biscotti) and they are originally from Italy. Berliner Cantuccini, however, is taking the cantuccini concept to new levels: in addition to the classic almond cantuccini, the company also offers seasonal and savory varieties: roquefort cheese & fig, for example, pine nut & parmesan, cashew nut & olive or pistachio & wild garlic. The sweet seasonal variants include mouth-watering almond-rhubarb, apple tart, coconut & strawberry and pecan nut & vanilla but the brand also sells cantuccini made with hemp seed & pink pepper or peanut & chilli. You can also commission your very own cantuccini variety! Berliner Cantuccini is still a very young company; they were founded in 2015 and in early 2016, they opened their bakery and store in Prenzlauer Berg. Superfoods are already really well-established in Germany; these days even “normal” supermarkets carry products like chia seeds and should you require powdered superfoods like wheatgrass, raw cacao, maca and so on, you don’t need to visit specialised health food stores any more. One of the major trends within the superfoods sector is convenience and what I’ve noticed at the various organic trade shows I’ve attended over the past couple of years, that superfoods in little sachets and ready-made blends of different powders have become very popular. At Next Organic I simply had to stop at the exhibition stand of Berlin Organics. The company, founded in 2015, offers charmingly-named superfood powder blends: the line-up of five mixtures – Saubermann (wheatgrass, barley grass, moringa, spirulina, chlorella), Kraftpaket (hemp protein, lucuma, maca, chia, coconut blossom sugar), Schutzschild (grapeseed kernel, baobab, goji berries, acai), Ruhepol (raw cacao, coconut blossom sugar, lucuma, cinnamon) and Beauty Queen (almond, raw cacao, coconut blossom sugar, chia, psyllium) – was just extended with two new variants: the equally charming Nachtschwärmer (“party animal”: raw cocoa, coconut blossom sugar, guarana)) and Arbeitstier (“workaholic”: hemp protein, coconut blossom sugar, maca, lucuma, guarana). Nice packaging and cute product names. A different kind of superfood which is becoming reeeeally trendy at the moment are algae and seaweed. Besides competition winner Seamore, there were several other algae brands at the show – like Kulau. Kulau is actually a coconut brand (the company was founded in 2008 in Berlin) which has just branched out into “sea veggies”: dried algae in various shapes and forms. The line-up currently offers five different organic dried algae variants which are harvested by a small artisan company in Galicia, Spain. The algae are picked by hand and air-dried in Spain and are then packaged and marketed in Berlin. The range includes nori (red algae), wakame (brown algae), dulse (red algae), sea spaghetti (brown algae) and sea salad (a type of green algae). Yay!